We hear it all the time: “drink more water.” While millions of people have certainly found success in kicking the soda habit, reducing their caffeine and alcohol intake and drinking more water…how many consumers actually consider the dangers of what may be lurking in their water that they cannot see? When you think of water, what comes to mind first? Tap water? Good guess, and one of the most dangerous in the drinking water category. Don’t forget about well, raw, spring, filtered and finally purified water. So how do we muddle through the good, the bad and the ugly of what is best for our bodies? Maybe this will help uncover some of the truths. If you believe in a higher creator who summoned the land, its waters, vegetation and every living thing that walks the earth, it is safe to assume that the creator intended for us to eat and drink from the land he provided. And that doing so would sustain the marvelous vessels we each “own and operate” to shelter and protect the interior operations of our bodies. Sadly, it is no secret that over the last 2,000+ years our beautiful earth has been polluted beyond recovery. The EPA released a study which states that “ground water contamination is nearly always the result of human activity”. It goes on to list various sources of such contamination including septic systems, improper disposal of chemical and hazardous waste, spills or leaks from petroleum tanks both above and below ground, landfills, pesticides, fertilizers, leaking sewer pipelines, abandoned wells and mining, to name a few. In the same report, the EPA itemizes over 35 household products which carry potentially harmful components to our ground water. A few you might use in your home today include laundry stain remover, toilet bowl cleaners, disinfectants, car wash chemicals, jewelry cleaner and chlorine for your swimming pool. Our use of man-made chemicals has become so extreme that we can now find traces of SOCs (synthetic organic chemicals) in virtually every public water supply around the world. While I am thankful that my home is equipped with numerous sources of running water (unlike some places around the world), that doesn’t necessarily mean I want to consume the water that runs freely from my faucets. The smell alone is enough to make me question what chemicals are flowing out and what those chemicals are there to kill. So, the first order of business should be this: Don’t drink from the tap! 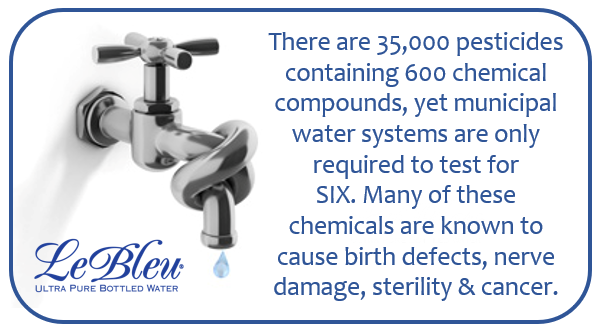 Although the federal guidelines allow for an ‘undisclosed’ allowance of certain contaminants in our drinking water, there are literally thousands of reports that question the safety of the water that runs through our treatment plants and subsequent living communities. What it primarily comes down to in the public water systems is Chlorine! According to the US Council of Environmental Quality: the cancer risk among people using chlorinated water is as much as 93% higher than among those whose water does not contain chlorine. Our local municipalities flood our processed water with Chlorine to kill bacteria, when in fact those deadly chemicals are doing more harm than good. And don’t be fooled, this not only applies to drinking water but also showering in the same water. Our bodies absorb everything that comes in contact with our skin within 26 seconds. This calculates to a ten-minute shower (in tap water) being the equivalent to drinking 8 glasses of chlorinated water, as far as exposure to this damaging agent. The bad news doesn’t end here. It doesn’t take much effort to do a quick Google search to find thousands of publications that expose the dangers of all sorts of water. Spring and well water typically are sourced directly from the ground, which is polluted with various agricultural, commercial, industrial and even residential contaminants. These might include pesticide/ fertilizer storage facilities, auto repair shops, airports, gas stations, toxic spills, petroleum products plants, septic systems, swimming pools and storm water drains. The most common filtered waters, such as filtered bottled water, in-home filtration systems, refrigerator filters and even filtration pitcher devices are simply carbon/charcoal filtration which primarily filter out Chlorine. Carbon filters are not particularly successful at removing dissolved inorganic contaminants and heavy metals such as minerals, salts, arsenic, asbestos, barium, beryllium, cadmium, chromium, copper, fluoride, mercury, nickel, nitrates, sulfate, thallium and other contaminants. According to the NSF International (National Sanitation Foundation) carbon filters can harbor bacteria, and trap some contaminants while other bacteria adhere to the surface of the filter. When water is poured through the saturated filter, it does not filter effectively and bacteria can contaminate the water. Be cautious of water products advertised to have added minerals, which are typically more costly. It has not been proven that your body can absorb minerals from water. Food is the vehicle that carries minerals for proper distribution (Dr. Andrew Weil). You are paying for additives that are simply passing through your body and providing no meaningful benefit. The same is true of Alkaline water products. A study conducted by the Mayo Clinic reported that there is no scientific evidence that alkaline water neutralizes acid in the bloodstream, boosts energy or helps the body absorb nutrients. In conclusion, if you are consuming water products that contain metals or inorganic minerals, which your body cannot absorb, contaminants are being stored up inside your body. These contaminants adhere to your joints and organs and over time may cause arthritis, kidney stones, high blood pressure, cancer and more. Our bodies are approximately 70% water. Pure and toxin-free water is what your body needs and craves. Not only will it detox your organs, it will help you maintain optimal organ performance. Le Bleu’s five-step water purification process delivers only the purest results in removing ALL contaminants, resulting is pure and delicious Hydrogen & Oxygen. 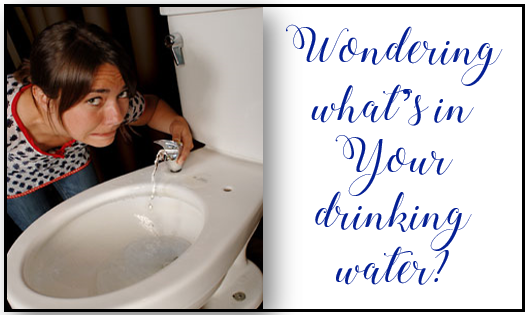 Posted on March 24, 2019 April 15, 2019 | Leave a comment on Wondering What’s in Your Drinking Water? Christine launched Le Bleu Central Virginia just over three years ago in Richmond with a passion to educate consumers about the value of what they are flooding their bodies with, literally. 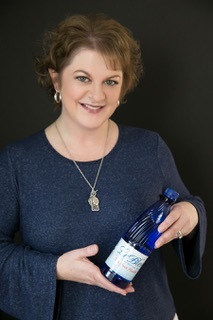 As a consumer of Le Bleu Ultra Pure Water for many years, she left corporate America with a mission to help reform the health of Central Virginia, one sip at a time. Le Bleu Central VA is the exclusive distributor in Virginia, delivering Ultra Pure Water products to homes and businesses throughout the area. Le Bleu has been purifying and bottling water for over 30 years in Advance, NC.